As of this post, 2016 launches a time of reflection, renewal and growth. Last year I posted Writing Commitments for 2015: What’s yours?. These were not resolutions of possibilities or “maybes.” The post was to lay out the end in mind that I could work towards, and to invite other writers to do the same. I will read at least 10 books across genres that I like to write about: Education, Fantasy, Horror, Young Adult. I’ll write a review on Goodreads or Amazon or on this blog. I did read over 10 books in these genres that I like. BUT, I did not post them all. There were some interesting tips and tools for author’s craft that I’ve explored. Numerous articles on Edutopia modeled rich voices for making instructional topics inviting. 2) Ready Player One by Ernest Cline and Heroes Die by Matthew Stover illustrated to me the importance of a strong start. I enjoyed immensely both novels only because I pushed through the opening chapters. How many readers give up early because of the slow start of each of these stories? It’s a stark reminder for writing of all lengths. 3) Character development is critical. Several authors like Bernard Cornwell and Jim Butcher create amazing stories that I remember because of the characters. A good cast of characters can make for a compelling story. 3. I will create a detailed outline and chapters for an Education book on Differentiated Instruction for the 21st + Century — to be shared with 3 writer colleagues for feedback. With hard work and some luck, I have secured a book contract! I’m in the process of writing So All Can Learn: A Practical Guide to Differentiation for Rowan & Littlefield. My deadline is later this year. I hope to see it in print either by the end of 2016 or the start of 2017. Stay tuned. Here are my three commitments, plus those shared by other Deadwood Writers, for 2016. Complete the book So All Can Learn: A Practical Guide to Differentiation in 2016, for publication by the end of this year or the beginning of 2017. Write articles for three major education publications, which will be linked to here. Read at least 10 books across genres that I like to write about: Education, Fantasy, Horror, Young Adult. Define parameters and implement plan for self-publishing A New Life, my paranormal romance. My goal is the end of 2016. Continue to develop and write the Hot Blacktop series. Balance all the above with my new job and family. I will build my inventory of stories that are ready to submit to contests or for publication. I will regularly bring installments of my “Road Rally” story to the group for feedback. I will work to complete my Murder in Sight book. Participate in the group either online or in person when possible. Write at least one article a month for bulletin and/or blog. Submit at least two stories for publication. I will read three books on the Civil War to facilitate the research for my historical novel. I will write for a minimum of five hours per week. I will present three more chapters of my historical fiction to Dead Wood Writers for comments. Attend writers’ conference. Sign up to pitch manuscripts collecting dust on shelf. Finish editing for publication at least one manuscript. Write monthly article for the Deadwood Writers Voices blog. Write three 500 word flash fiction, one 1500 word story and one 3000 word story. Submit to at least six journals or contests. Read six craft books and six works of distinction. Continue monthly study of short stories. I will devote at least one day a week to no other writing than my work in progress. At the end of every quarter, I will share my work product with another writer for feedback. I will study at least one book in the same genre as mine. I will read a book on blog writing. I will set aside more time for writing and stop procrastinating. How did you do with your commitments? 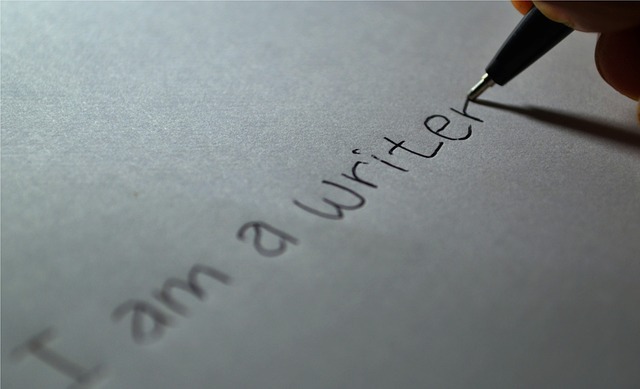 For 2016 commitments, what are 1 to 3 concrete steps that you will take to improve yourself as a writer. Be specific and concrete–something you can track or measure. Please post in the comments below either your responses or link to your responses.